Planting a garden can be a wonderful hobby. Gardening is a great gentle physical activity that can help older people and people with chronic degenerative conditions stay active and healthy. Gardening is also a great way for active, busy, and very stressed out people to take some time to relax and get back in touch with nature. Gardening is a fabulous family activity and lets parents spend some quality time with their kids while teaching their kids about nature and how to be ecologically responsible. Kids love to watch things grow, and learning to garden can teach kids a lot of valuable skills like decision making and patience. Planting a flower garden can be a challenging and overwhelming task if you’ve never gardened before but once you start learning more about it you’ll see that it’s really not too hard. There is a lot information about gardening to read and ponder but planning the garden is half the fun. 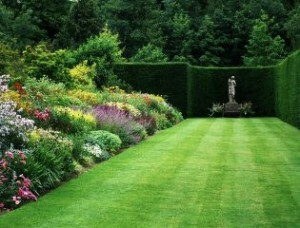 Avid gardeners spend the entire year planning next year’s garden. Make sure that you get the soil set up correctly and take good care of your plants by watering and feeding them properly and you will soon have a gorgeous, vibrant flower garden. This site aims to give you all the information you need to get started on your journey to becoming an avid gardener. Check back as we add more valuable gardening tips and tricks. Ideal and necessary tool for gardeners; vegetable and fruit growers; and all those who plant trees and grassYou can take good care of your plants.For outdoor & indoor plants; gardens & grass lawn. Should You Grow Perennials or Annuals?